Product prices and availability are accurate as of 2019-03-08 21:34:55 EST and are subject to change. Any price and availability information displayed on http://www.amazon.com/ at the time of purchase will apply to the purchase of this product. Excellent Cold Weather Resistant Properties -1°F To 221°F (-18°C To 105°C). Flame Retardant and Weather Resistant. Highly Elastic Polymeric Backing - Excellent Elongation. High dielectric strength, high adhesion and shear. Resistant to acids, alkalis, chemicals, oils, moisture and corrosion. 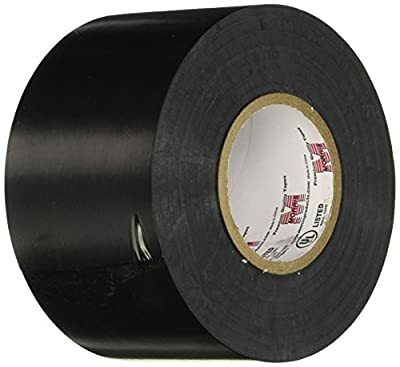 Electric tape withstands 10,000V. UL 510 and CSA 22.2 Listed. Mil-I-7798A. Lead Free. Color: Black.